PUBLIC SAFETY/NYC: Print and electronic media reports about alarming crime rates in NYC where murder rates are up by 14% in 2019 compared with the same period in 2018. The precincts which stand out with these stats are Manhattan’s 34th Precinct in Washington Heights, northwest of 179th Street; 43rd Precinct in the Bronx, within commercial strips along Westchester and Castle Hill Avenues, along with White Plains Road; the 113th Precinct in Queens, which spans Jamaica, St. Albans, Springfield Gardens, Hollis, So. Ozone Park and South Jamaica. Brooklyn’s 79th Precinct has the most murders in NYC. Those are precincts in areas heavily populated by Blacks and Latinos. Media accounts about a Harlem drug outpost on St. Nicholas Avenue at 111th to 112th Streets are disquieting. Recently, two major drug busts have been covered at 123rd Street between Seventh and Eighth Avenues, and on Lenox Ave. at 142nd Street. What does Hizzoner de Blasio tell people about NYC’s public safety when he visits early presidential primary states? Check out the new digital media kid on the block, thecity.nyc, an independent, nonprofit newsroom for NY which debuted last week. LOUISIANA: Why have three historically Black churches – Mt. Pleasant Baptist, St. Mary Baptist, Greater Union Baptist, in St. Landry Parish, Louisiana – been burned down in less than two weeks? Louisiana authorities say that they are ruling out neither arson nor racism. Parish population is 41% Black and 56% white. The FBI and the Federal Bureau of Alcohol, Tobacco and Firearms are involved in the investigation of who initiated the fires. 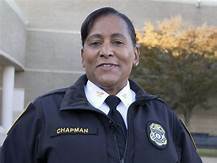 Virginia: Tonya D. Chapman, the first Black woman to serve as a police chief in Virginia (in Portsmouth), was forced to resign last month due to pressure from racist officers who resisted her efforts to reform the department. Portsmouth population is approximately 95,000, which includes a Black population of 50,000 and a white population of 40,000. What did Virginia’s Governor, Lieutenant Governor or AG do to intervene? Nothing, probably too busy re-branding themselves from the scandals which, a few weeks ago, elicited calls for their resignations. Wonder if there is a place for her in Chicago in Mayor-elect Lori Lightfoot’s administration. Police reform must top her to-do list. Last weekend, 31 people were shot, three fatally, in Chicago. The 3/31 NY Times cover story, “AFFIRMATIVE ACTION AT 50: SUCCESSES AND REGRETS,” is a must-read for anyone interested in the American university vis-à-vis Black students. Subtitled, “Tracing the Divergent Paths that Began at Columbia in 1969,” which was a year after Dr. Martin Luther King’s death, a time of reckoning for colleges across the nation which revisited their admission rituals. Reading about white privilege and parents who buy their children’s way into college is depressing. However, I am not in favor jail time for those degenerate parents. 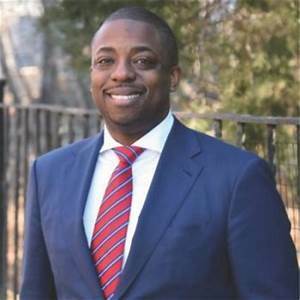 I would make those affluent parents pay a penalty, twice the amount they “paid to play into college” and put that money into a college scholarship fund for high-achieving students of color from underserved communities. Example, if a parent paid $20,000, then he would have to put $40,000 into a special college fund. They should also be assigned community service hours. 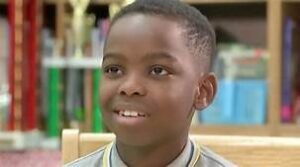 Then there are two recent stories about Black immigrant youngsters that restore your faith in Americana. Dylan Chidick, 17, a former homeless student, is sorting through 17 college admission letters. His family relocated from Trinidad to Brooklyn, NY before settling in Jersey City. In mid-2017, his mom lost her job as a home health aide, and her home. The family moved to a shelter. After taking his first PSAT, Dylan realized that he had to work harder. 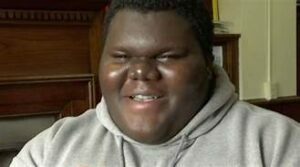 He became an honor student, taking Advance Placement courses while living in the shelter. With the help of Women Rising, an organization which helps women and their families find housing, his family found a permanent place to live. Dylan will be the first in his family to attend college. He awaits an 18th acceptance letter from the College of New Jersey, which is his ideal choice. He plans to study and practice law. In his 3/17 NY Times op-ed, “THE HOMELESS REFUGEE CHESS CHAMPION,” Nicholas Kristof introduces the reader to Tanitoluwa Adewumi, 8, a Nigerian refugee. Tani is a third-grader who lived in a shelter, who became the newly crowned NYS chess champion for grades K-3. Last month, he bested competitors from elite private schools who have private tutors. He learned chess a little more than a year ago and admits that he wants to be the youngest grandmaster. His family fled Nigeria in 2017 fearing terror group Boko Haram against Christians. They arrived in NY and was placed in a shelter. He attends PS 116, where he met a part-time chess teacher who taught him how to play. Then he joined the chess club gratis. Tani would lie on the floor of the shelter and practice chess for hours. He has supportive parents dedicated to seeing him succeed. Dad holds two jobs as an Uber driver and as a real estate salesperson. Mom wants to become a home health aide. Tani is preparing for the elementary national championship in May. In Kristof’s 3/23 NYT column, he says that reader response and support to his initial Tani story generated monies and a GOFUNDME page that has raised over $200,000 for Tani and his family, who have fled the shelter. A foundation in his name was set up to help African immigrants in the US. Tani looks forward to getting his own home computer. 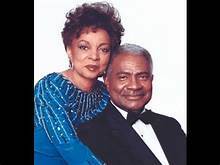 Everyone is invited to a special event and a street co-naming of two mythical figures in American theater, film and television, Ruby Dee and Ossie Davis. The Dwyer Cultural Center will host the ceremonial unveiling of “Ruby Dee Place” and “Ossie Davis Way” on St. Nicholas Avenue at the northeast corner of 123rd Street, Harlem, USA on April 20 at 2:15pm. 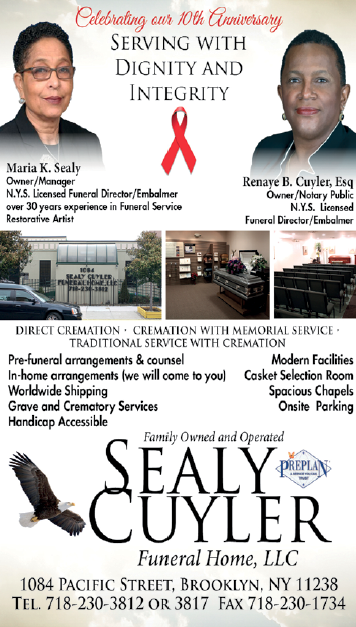 The Dwyer Cultural Center will open its gallery to the public on 4/20 from 11am to 2pm to view exhibits dedicated to Ruby and Ossie, the late actors/activists couple. A Harlem-based branding consultant, Victoria can be reached at Victoria.horsford@gmail.com. Next articleWhat Are Your Ideas for the Redesign of Restoration Plaza?